We publish over 100 changes to content every week to the ‘services and information’ section of GOV.UK alone. This means we get 100 chances to improve the content. But it also means there are over 100 opportunities for GOV.UK to get worse. When we launched the site ‘for proper’ back in October 2012, I thought what we’d done with the content was exceptional - particularly for a government website. Not everyone agreed, but as we got into 2013 it was great to see that I wasn’t the only one who thought we’d achieved something important. As we moved from project mode to business as usual I’ve been keen to make sure the site remains at that award-winning standard. Sometimes, when people request a change to content on GOV.UK, they don’t have user needs in mind. I know, shocking isn’t it? We have a team of around 10 content designers working on the ‘services and information’ section of the site. Even though we have a good audit trail of changes (and notes on when we’ve declined to make a change), sometimes that audit trail is quite long. It’s possible that a content designer might not realise the wider impact of making a decision, or even that the current request has been declined a number of times in the past. Usually this gets caught in internal review, but occasionally it goes live. And GOV.UK gets a little bit worse. Just like Neo, we’re in a matrix. 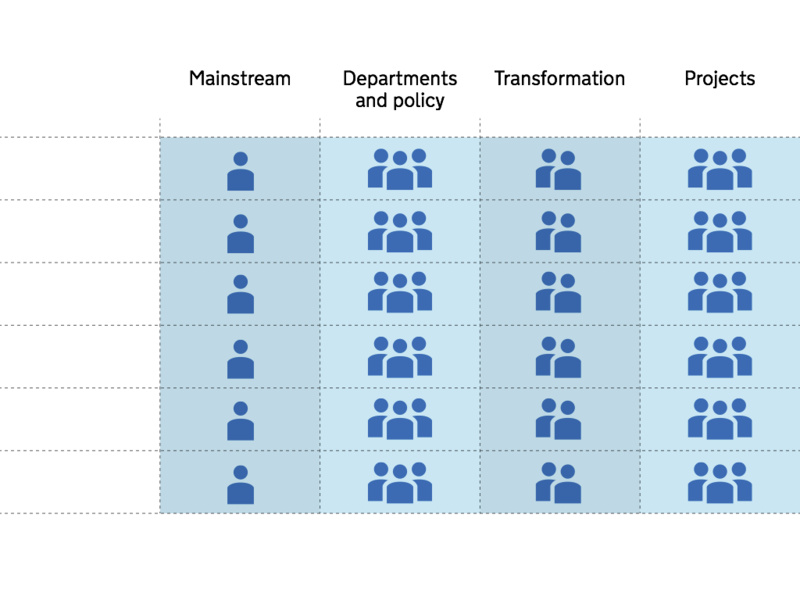 The content matrix is how we’re improving the coherence and overall quality of content on GOV.UK. The matrix is divided into themes and products. A theme lead looks at a subject area across GOV.UK (eg employment-related content). A product lead will look at all the content within a product (eg I’m responsible for the content in the ‘services and information’ product). If you imagine products as columns and themes as rows, you get a bunch of places where the rows and columns intersect. That’s why it’s called a ‘matrix’. As long as the product leads and the theme leads talk to each other, we spot areas for improvement, and then improve them, in a coordinated fashion. We also really benefit from colleagues outside of GDS with an interest in a particular content area sharing their thoughts on how things could be improved. If you have ideas, please let us know. How many product leads and theme leads do you have? Im assuming leads (especially theme leads) would have more than 1 area of responsibility? Hi Nathan. We have 4 product content leads (1 for each product) and 6 theme leads. The theme leads handle 2 or 3 subject areas each (depending on the amount of content in each). This sounds excellent. What are the themes, and will there be named contacts for each one? Obviously happy to help with some of the legal/justice stuff. Hi Graham. I left you a reply earlier but looks like it was eaten by WordPress! The themes are the same as the 'services and information' browse categories. At the moment they're internal. Our content designers spend 20% of their time on theme work. 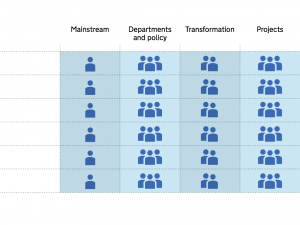 This allows us to look at the big picture and make improvements across GOV.UK proactively, as well as in response to feedback from departments and users. It may be that themes evolve into something more, and this may or may not include a named contact for departments at some stage. For now the best channel for getting requests and feedback to the right person continues to be Zendesk.